« A Passion For Collecting ! 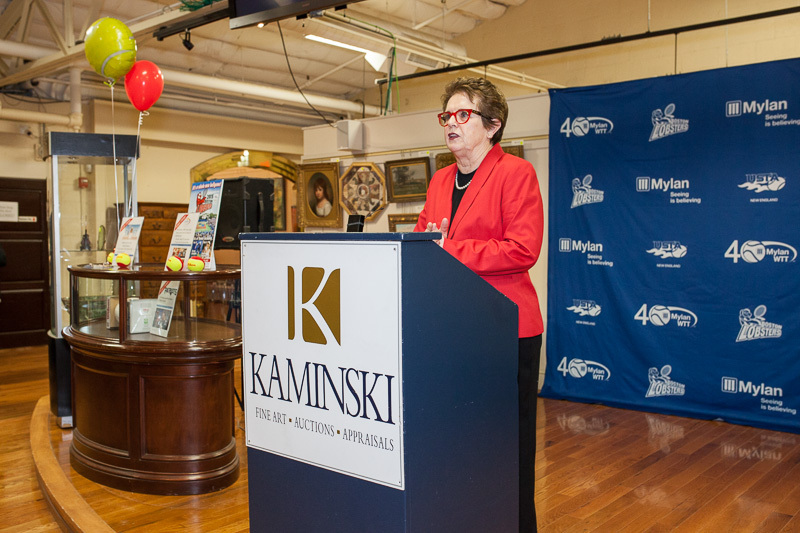 Kaminski Auctions and Tim Hopkins Catering teamed up to sponsor the Boston Lobsters 2015 KIck Off Party and Charity Auction at the Kaminski Auctions gallery in Beverly, Massachusetts. 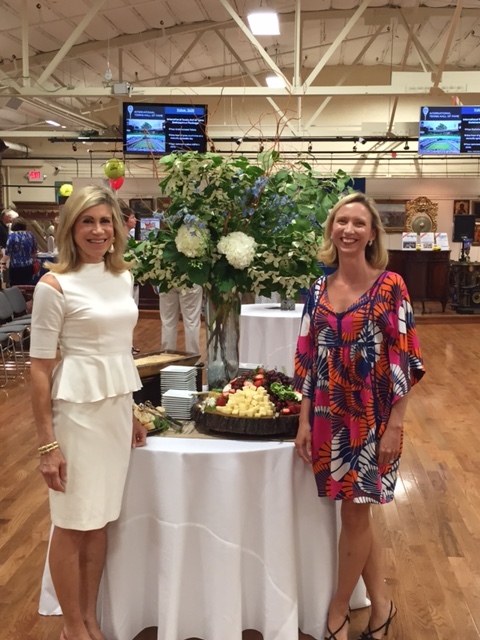 The gallery looked beautiful with flowers, Boston Lobster decorations and delicious hors d’oeuvres by Tim Hopkins ! 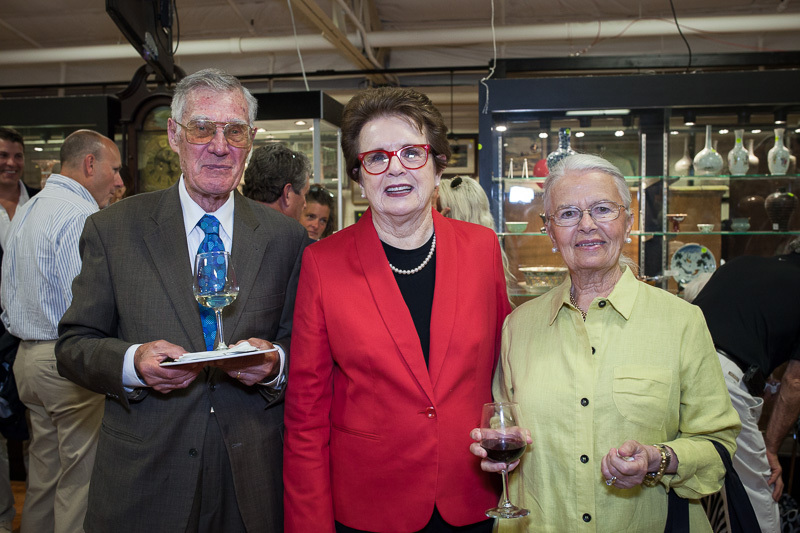 Attended by tennis enthusiasts of the North Shore,Boston Lobster patrons, invited guests and most importantly tennis legend Billie Jean King. 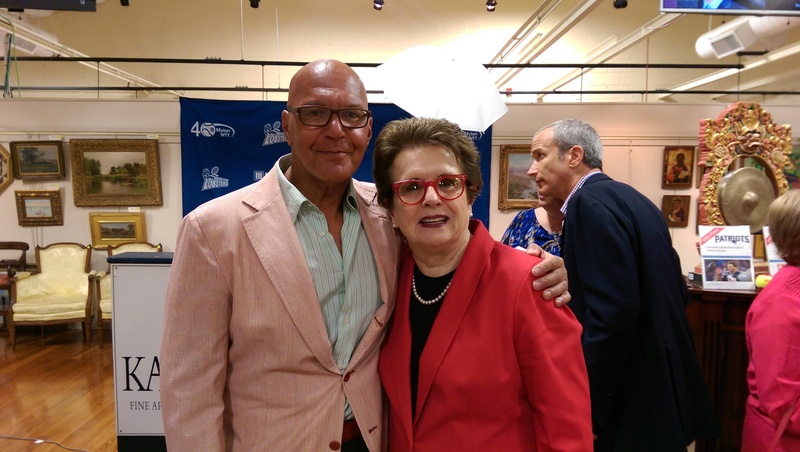 Billie Jean King is an American former World No. 1 professional tennis player who won 39 Grand Slam titles. She is the the co-founder of Mylan World TeamTennis, the league of the Boston Lobsters and founder of the Billie Jean King Leadership Initiative. A champion for social change and equality, she was named one of the “100 Most Important Americans of the 20th Century” by Life Magazine. In 2009, she was awarded the Presidential Medal of Freedom by President Obama, the nation’s highest civilian honor. Auctioneer Frank Kaminski conducted the live auction of a Patriots football signed by Tom Brady, Tickets to Taylor Swift and tickets to the US Open in Billie Jean’s private box. 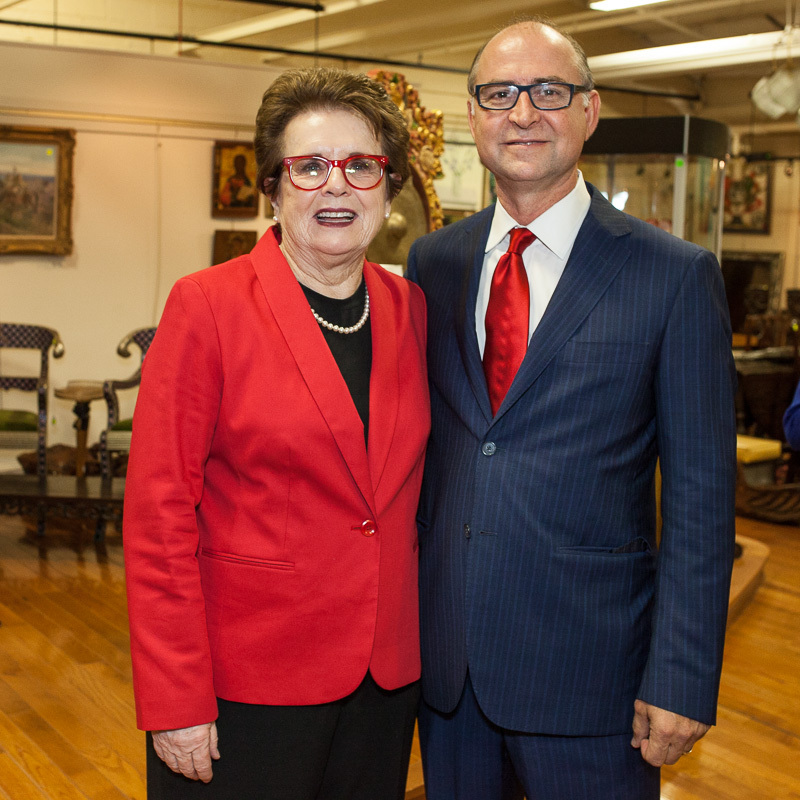 The live auction was accompanied by an array of silent auction items. The 2015 Boston Lobsters will be coached by Jan-Michael Gambill. This year the team will include 2011 French Open mixed doubles champion Scott Lipsky, and Spaniard, Arantxa Parra Santonja, along with a pair of young, up and coming Americans, 2012 NCAA doubles champion Chase Buchanan, and Irina Falconi, who recently made an inspired run to the 3rd round of the French Open. 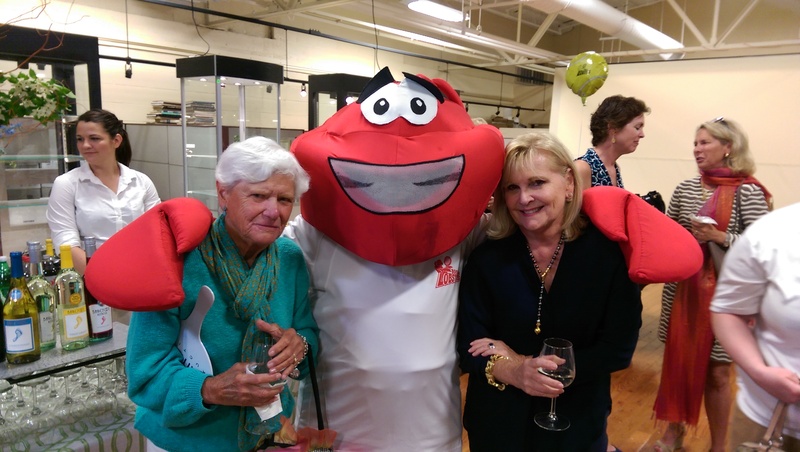 Tennis Hall of Fame great Avis Murray and Mrs. Bonnie Covington with the Boston Lobster mascot ! The most exciting addition will be the 2014 Wimbledon finalist Eugenie Bouchard who will play the final 3 matches of the season, including a home match on July 27. Kaminski Auctions and Timothy S.Hopkins Catering are proud to be sponsors and wish the Boston Lobsters a successful 2015 Season!